Fruit Rocks is a funny side-scrolling action game. Its challenging physics-based non-stop action will have you throw items at the clumsy aliens that are trying to get the better of you. 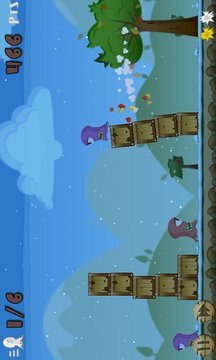 Get immersed in Fruits Rocks' colorful cartoony world and fight the invasion interacting directly with the game environment, that includes rocks, fruits, bombs, bonuses and various structures!!! - Easy to play, hard to master non-stop gameplay! - Many different alien creatures! 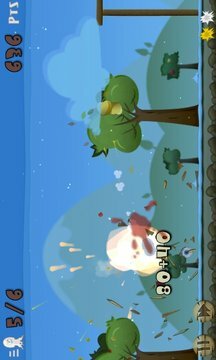 - Lots of funny objects and fruits to use as weapons! - Free updates with new levels and aliens!